Toward the end of the Middle Ages, artists and architects commissioned by the Catholic Church continued to work in Gothic style. Today, this iconic movement is predominantly praised for the towering spires and sky-high stained glass windows of its gorgeous cathedrals. 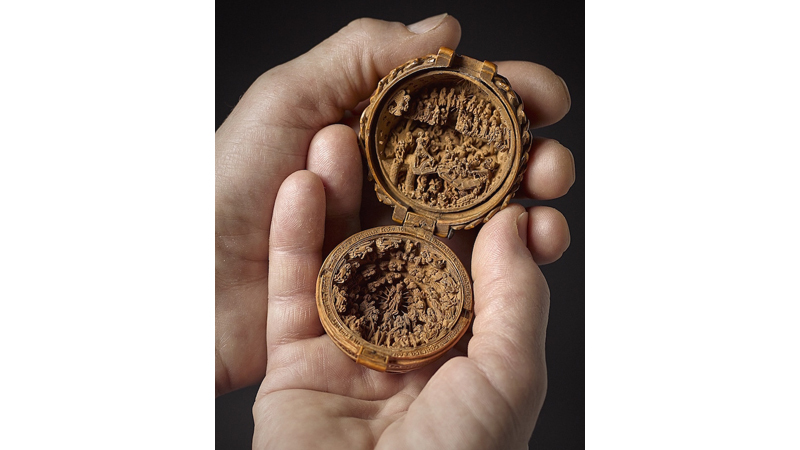 However, not all Gothic masterpieces were larger-than-life; some, like this captivating collection of 16th Century Gothic boxwood miniatures, can even fit in the palm of your hand! Believed to have been expertly handcrafted between 1500 and 1530 in either the Netherlands or Flanders, each peculiar piece was astonishingly carved from a single piece of boxwood, a particularly lustrous lumber. The tiny pieces of art double as holy objects, ranging from prayer beads and rosaries to medallions and altarpieces. Externally, they may appear simply as solid wooden orbs and decorative figures, but they actually open or flip over to reveal awe-inspiring, intricate religious reliefs.